The Superior Choice for Commerical Cleaning! Anago® of Winnipeg Offers Commercial Custodial and Janitorial Services Throughout Manitoba. At Anago® Cleaning Systems of Winnipeg, we are dedicated to providing the highest quality cleaning services to you and your business. We offer one-time cleaning, post-construction cleanup, monthly maintenance janitorial services, and green commercial cleaning. We’re even there for you in the event of an emergency with our Anago® “2-hour Response” guarantee. No matter the time, Anago® is there to answer the call round-the-clock, and we’ll have a team on-site to handle your emergency within two hours of your call. Our ultimate goal is your ultimate satisfaction. That commitment shows in our extensive training program, green cleaning products and state-of-the-art equipment. In addition, our Operation Territory Managers ensure that your custom tailored cleaning plan meets your exact specifications and that your cleaning team is held accountable by our main office. Anago® Cleaning has provided top-quality commercial cleaning services and office cleaning services for more than 25 years and has since set the standard for the commercial cleaning industry. We hire only experienced cleaning crews and then continue to support them with ongoing training and certifications to ensure that you only have the best teams cleaning your facilities. 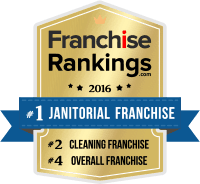 No two businesses are the same and neither are our cleaning plans. When you join up with Anago® and retain our services, we work closely with you to create a customized services plan and schedule uniquely tailored to your specific needs. You worry about running your business and leave the custodial work to the professional teams at Anago® of Winnipeg. We’ll make sure your facility projects the image you want, keeping it spotless for your employees and clients alike. Contact us or call (204) 594-4666 today to get a free quote!